If you are looking to increase sales from your store, at some point you absolutely must read what your website analytics are telling you. It’s not enough to just drive more traffic to a site or add more products in the hope of increasing sales. Sure, that may have a small and limited impact, however, to really increase and sustain sales, you must find out where your problem spots are. You can locate these problem spots by reading your website analytics. They hold the key to your success. However, oftentimes users ask … “there are so many numbers in my analytics, where do I start”? The most logical place to start is to find out where users are leaving your site. While there are a number of key metrics that are important within your analytics, none can be more important initially than your “Single Page Bounce Rate” in determining where problems are. Assuming you are receiving qualified traffic to your site, “Bouncing” a potential customer due to circumstances completely within your control is like kicking them out and saying “I don’t want you here.” That’s no way to make money. Bounce Rate is NOT the same as the Exit Rate. Both are very important and worthy of review, but do not confuse what the two metrics report on. Likewise, website bounce rate and single page bounce rate, although similar metrics, report on two different areas of a site. For purposes of this article, I’ll focus on single page bounce rates. More detailed information can be found by going to Bounce Rate at the Wikipedia site. I highly recommend reading it if you have not already as it contains some very helpful information on the topic. Why Should I Focus on Bounce Rate First? Simply put, if you know your traffic is qualified and it is not getting past a certain page on your site, then there is no reason to focus efforts on deeper pages until you first get them past the initial problem page. It stands to say that if they can’t get past the initial page, they aren’t even seeing the deeper pages so focusing efforts on improving them first will not improve your conversion. Tackle one problem at a time and then move on to the next. For example: If users are not getting past the home page, there is no reason to initially focus efforts on the product pages because they aren’t making it there anyhow. Instead, you should focus on first getting them through the home page and to the product pages. 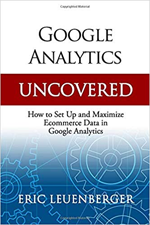 Then evaluate and make changes to those product pages as needed — of course focusing attention on those spots which your analytics deems problematic. The most effective approach to increasing conversion using the Bounce Rate metric is to start by finding the 5 pages on your site that have the highest bounce rates which do not include the “expected bounce pages” as referenced below. Now, take those 5 pages and put them in order of bounce rate from the highest to the lowest. This is the order in which you should begin analyzing, testing, and making changes. Beginning with the page having the highest bounce rate, review the individual elements as they relate to the objective of the page. “If I were the customer, what would I like and dislike about the page”? These are just a basis for where you should start your analysis, the questions will vary depending on your unique business needs. Analyze your findings and make needed changes to correct the issues for the page. Continue this process for each additional page listed among your five and you have just created a “road map” that targets some of the main problem points in your site. Providing you made the correct changes to address the issues, you are well on your way to increasing conversion of your online store. Once you have control of your bounce rate and have visitors moving through your site toward the end goal, consider repeating this process for those pages with highest Exit Rates, but that is for another article. Good Meat. I just have to thank you for all the info you are giving out on this site. As I am working out my link strategy, and website metrics, I am sure reading your blog will help me sell more American Flags and flags in general. I am looking at my analytics account and see the bounce rate listed but that gives me a graph of bounces per day or hour. Where do I go to find the pages with the highest bounce rate? From there, click on the heading that says “Bounce rate” (listed with the metric results) to sort in order from highest bounce rate page to lowest.